The City of Lauderhill or Lauderhill for short, is found in Broward County, Florida near Miami. It has a population of just over 70,000 residents and it's close proximity to many Miami attractions and popular beaches brings plenty of regular visitors every year. This combination, along with the nearly 5.6 million residents found in the Metro area clogs the roads and makes them a danger for driving. Broward County includes some of the most popular tourist destinations in South Florida. Many of the most popular spring break beaches and family beaches are found throughout the county. During the spring season, the area is often taken over by visitors from all over the country. Many of these visitors are younger drivers and come with their own unique style of driving. The mixture of tourists and full-time residents puts many different driving styles on the roads at the same time. Spring break brings thousands of visitors to the surrounding area every year making the roads even more dangerous. Florida's Turnpike runs directly through Lauderhill and Interstate 95 isn't are away. I-95 is considered the most deadly highway in the United States. More than 26,000 traffic accidents happen in Broward County every year with hundreds of fatalities every year. Traffic crashes in both Broward County and Lauderhill are on the rise. Can you imagine how bad the roads would be if law enforcement didn't monitor traffic and hand out tickets? Law enforcement in Broward County gave out more than 195,000 traffic tickets in 2015. Nearly half of those tickets were given to drivers caught speeding with another 18,000 were given to careless drivers and another 15,000 were given to those running a red light or stop sign. These are just the drivers caught and not all drivers get caught speeding or running a red light. The City of Lauderhill and the entire State of Florida takes driving very seriously. With a reputation for some of the most dangerous roads in the country, the state has put specific laws in place for those receiving multiple traffic tickets. Each ticket is assigned a point value and when a driver gets too many points, they face a license suspension of at least 30 days. Drivers receiving 12 points in one year will face a 30-day suspension. If it gets to 18 points in 18 months, the suspension goes up to 90 days and if it reaches 24 points in 36 months, you will face a 365-day driver's license suspension. Could you imagine trying to get people to drive you around for an entire year? Traffic ticket points range from 3 to 6 points per ticket. The more serious the offense, the higher the point total. For example, if you're caught speeding, but your speed is less than 15 mph over the posted limit, you will receive 3 points on your license. However, if your speed is more than 15 mph over the posted limit, the ticket will give you 4 points. Even worse, if you speed and cause an accident, the ticket will come with 6 points. It doesn't take much to accumulate enough points for a license suspension. A few tickets in a short amount of time and you might be stuck paying the fines and figuring out an alternative way to get to and from where you need to go. If you try to drive on a suspended license and you're caught, you could face as much as $500 in fines and 90 days in jail. Second, tell the clerk of the court you will be attending traffic school. Third, enroll in online traffic school. Fourth, complete the basic driver improvement course. Finally, receive your certificate of completion and turn it into the clerk of the court. That's all it takes to avoid points on your license. 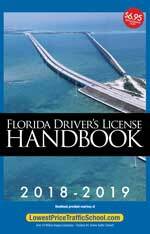 The State of Florida allows you to attend traffic school for the purpose of avoiding points on your license up to five times. However, you can only use this method once every 12 months. If you haven't taken the course in the past 12 months and you haven't taken it 5 or more times, you can use it to erase the points from your current traffic violation. After receiving a traffic ticket in Lauderhill, you will deal with the Broward County Clerk of the Court for payment and information. 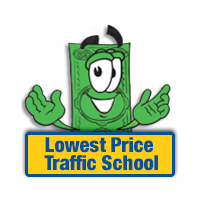 They will also take your traffic school certificate of completion. You can find more information about the Broward County Clerk of the Court on their website.